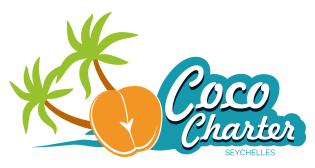 Coco Charter Seychelles is a company offering Luxury Catamaran Charters. We have recognized needs of sailors and crews. Our fleet is designed to meet demand for better than average yachts, that will provide an excellent experience. Our fleet consists only of the brand new boats, fully equippedand with an European standard. Imagine catamarans designed to provide blue water performance and comfortable living spaces, equipped with best hotel amenities creating that five star feeling you are looking for. With us your holiday will be an unforgettable ocean adventure, where you will discover paradise beaches and tropical secrets. Choose one of the options – to sail in bareboat charter, enjoy all-inclusive service as a chartered yacht passenger with a professional crew. We offer a variety of additional products and services, from water-sports toys (as SEABOB, snorkeling sets, kayaks, SUPs, Big Game Fishing sets, Bottom Fishing sets, Freediver or JetLev Flyer) to short-term thematic charters (day-, romantic-, anniversary-charter). In Coco Charter we do our best to provide you the excellent customer service. We will help you to organize the whole holidays – including flights, hotel accommodation, transit to the base, planning cruise tours and much more.